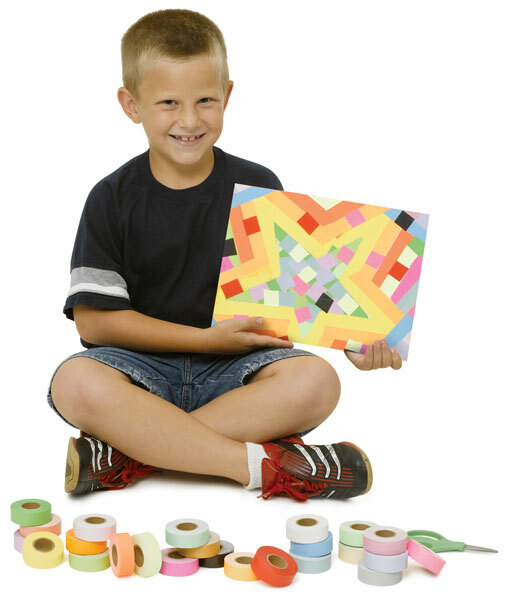 24 distinctly colored, self-adhesive, plasticized paper tapes can be written on with pen or felt tip marker. Their vibrant colors will not fade, making them great for use in murals and sculptures. Tape is semi-permanent and repositionable. ™ Roll Products is a trademark.™ Col-R-Tone is a trademark.